You say Landmarks is a book about how “reading can change minds, revise behaviour and shape perception”. One reviewer has said it has a “manifesto quality” to it, “a more urgent beat” than your previous ones. Is that intentional, and what would you hope might come of the book? That’s been a surprise of the conversations I’ve had around it. One interviewer said, “This is a militant work.” Another said, ” Are you a man of the barricades?” To which I replied, ‘I’m a man of the sofa.” And that the forms of direct action I undertake are writing and teaching. But it has been a surprise how politically the book has been read, though it’s been read in many other generous ways as well. Is it a manifesto? No, certainly not. Manifestos know exactly what they want to achieve, and declare their intent, very loudly. I hope this isn’t a noisy book. I hope it’s a subtle book. I say, I think, early on that I wanted to gather these words and these writers and release them, back into the imagination, to see what might come of it. And what’s come of it already is books, poems, letters, words, words, words. A fantastic instant response of many, many kinds, from many, many kinds of people: 98-year-old grandmothers, nursery leaders, artists, miners. So I guess it’s not a manifesto, because I had no idea what would arise, but if it’s designed to do anything, it’s designed to draw us back into close and subtle relations with the places we live in and pass through. That doesn’t seem to me very controversial, so I was a little surprised by the idea that this should be a shock in some way. Wikipedia describes you as “a British travel writer”. How would you describe yourself? I would like to think of myself as a place writer, I suppose. “Nature writer” comes with too many tendrils and too much baggage, and I don’t like it. “Travel writer” I’m fonder of, but actually I’m interested in all the things that go by the group noun of “landscape” or “place”. And that’s the relations of people to people and people to landscapes, and people to creatures, and the ways our imaginations are shaped and our values are formed by the places we live in. So maybe “place writer” is a kind of innocuous best label. But if I had to make a compound, it would probably be [with a laugh] “landscape-geo-topo-spatial scribbler”. Something like that. Nature writing: too much in the way of tendrils, and too much baggage. How so? It’s become a much-discussed and much disputed category in the past 10 to 15 years as very exciting things have happened, in terms of particularly literature but across the arts, in terms of nature-culture relations. I think it still carries a hint of muddy boot, a hint of 18th-century cleric, and a hint of the plashy fen. And in a way those are the things I think it’s successfully left behind. To enter what terrain, what territory? You mention that children are now (and “valuably”, you say), “adept ecologists of the technoscape”. But you yourself are noticeably absent from Twitter and Facebook and you don’t have a website. Why is that? The simple answer is that I feel if I needed those things my books wouldn’t be doing the talking for me. It’s in a sense a measure of the work not to need them. And to hope that others will tell others about your writing. Also, on a more day-to-day basis, I know very well that, given my medium-strength addictive personality, it would result in sustained damage to my mental wellbeing to be continually twitched by the web. Is it that the immediacy of the web, or the haste of it, is at odds with the precision you’re striving for in print? I’m thrilled by the possibilities of technology. In fact, while I was sailing with Ian Stephen, who as you may remember is a big character in The Old Ways, he – who is a sailor and a storyteller and a man of the sea – was busy sending off text-poems. And I remember feeling slightly affronted by the fact that we were out in the Minch and every mile, as a kind of log-book, he would whip out his phone and send off a text. But they were an amazing logbook of that journey. So, anyway, there are wonderful ways in which technology can be used. So are those texts still in existence somewhere? Yes, I think he’s published them. He would text them to a recipient. It was almost like dropping the rope, dropping the log, and so each mile was a tiny text-poem. Brilliant. And so immediate. In Henry James’s view, a writer is someone on whom “nothing is lost”. Do you think the instinct for noticing everything is particularly well developed in people drawn to write about landscape and nature? It’s a great question. It reminds me of Iain Sinclair’s phrase at the beginning of Lights Out for the Territory, where he says the born-again flâneur is only interested in noticing everything. But he says that in knowledge of the impossibility of it. And I think I quote the example of Borges’s famous story about Funes, the Memorious, the man who remembers everything, but of course it becomes a curse because his head is so heavy with data that he can’t analyse or interpret. Close looking and fine attention are qualities I relish in writers and relish in people. And many of the journeys I make in Landmarks and earlier books have been in the company of people who seem to me to have noticed everything about their place. We’re back to that sense of intimate, close knowledge of a landscape or a terrain, which to me is thrilling to be in contact with. Do you think that ability to notice is more marked in people who have a strong attachment to earth, land…? Well, I might hesitate to… I think to read a landscape you need to develop forms of literacy and knowing, otherwise it is a blandscape. That can be fine. Landscapes are deeply complex and layered and detailed places, and they demand a corresponding form of attention, I think, and interpretation, or else they just become wallpaper, painting, backdrop. You say that Roger Deakin’s Waterlog, unlike much that gets labelled as nature writing, is very funny. Do you think nature writing in general could be and maybe ought to be funnier? Is it a bit po-faced? Well, I think it can be, certainly, in need of a humour uplift. And I think I could do with one at times, too. My books have steadily come down from the mountaintops, and I hope that they might also have steadily got, if not funny, then at least less grave. Two of my favourite books of travel/nature are Jerome K Jerome’s Three Men in a Boat and A Short Walk in the Hindu Kush by Eric Newby, which are both howlingly funny. I’m pretty confident that the underground book [his current project], among the many newnesses that it will represent for me, including writing about cities, writing about infrastructure, writing about darkness, will be, I hope, a funny book. Could you tell me a bit more about the theme for that book, and where it’s taken you and where it will be taking you? It’s about the worlds beneath our feet. It’s about the dreams and the darknesses that we ascribe to to our underworlds. Underworlds have always been places we either go to fetch things back, whether they be the souls of the departed or precious metals, and where we go to put things that we can’t bear the sight of, whether that be dead bodies or nuclear waste. Every city has an underworld, whether it knows it or not. The whole book is already taking the form of a gigantic and complex tunnel system, in which I disappear in one city and appear in another. Where has it taken me? It’s taken me, inevitably, under Paris, for days in darkness in the catacomb labyrinth under that city. It’s taken me to the River Timavo, which flows for 70 miles underground from Slovenia into Italy. I descended a 1,000ft doline, a sort of narrow, eroded, vertical channel, with a 70-year-old Italian man called Sergio who smoked a briarwood pipe all the way down and had no interest at all in safety. He knows it so well. We dropped through a vast, sand-filled cavern in total darkness, and then scrambled down to the banks of the Timavo, a thousand feet under the rock. That was one of the most extreme places I’ve ever been: a great black river roaring out of a cave mouth on one side, and disappearing down a rapid hole to the other, and the sense of the earth’s surface far above us. The municipal Mouth to Hell. The municipal Mouth to Hell. Exactly. And they creak that open and then down you drop into this other world, this nether. And then I’m off to Prague, Wales, the Pyrenees, this year coming. [Their underworlds are] hard places to get to, though, and you need to meet the right people and make certain kinds of relationship and trust, so it’s going to take a long, long time. You’ve made the point that you’re moving from the intensely visual and the well-trodden and well-documented into “data-depleted darkness”. So is this book more of a challenge? I don’t want to sit still, as it were, if that makes sense for a “travel writer”. It would be very easy to inhabit the same voice for the rest of my life, my writing life, anyway, but I’m not interested in that. I want to write about cities and fibre-optic cables and darkness and sweat and fear and fascism because I know it’s going to prompt new challenges of form and new forms of language. The weird thing is I thought darkness would strip back my language, but in fact it’s causing it to become even more baroque. I don’t know whether that’s some sort of response to shadow, but I’m a bit worried that it’s going to overflow. Yeah, I really am setting the bar high. I might send you the draft and give you a couple of checkboxes. Baroque? Funny? That’s going to be three or four years, though, still, and it’s been two years or two and a half. In an odd way I look back and see the premonitions in the early books, particularly with Holloway. I’ve come down from the high ground, there’ve been quite a lot of caves, and then to the beaten path, which is a form of sunken place, and then holloways. I don’t know if you’ve seen the cover of Holloway, but it’s effectively a tunnel, leading down. Well, it feels like it. The phrase I use is geo-logic. There’s a kind of gradient. Let’s call it a gradient; that sounds a bit calmer. Can you tell me a bit about your working habits as a writer? How important, for example, is walking as a way of thinking and shaping material? You’ve touched, particularly in The Old Ways, on how others did it and do it. One of the fabulous consequences of having three children is that there’s no messing around with the work time that you do have, the writing time. There’s no sort of waiting until all the pencils are in correct alignment and the third dove has flown past the window. You’ve got two hours, you’ve got to write hard for those two hours. The writing I do involves drastic, endless re-revision. Well, not endless re-revision, but substantial re-revision. It’s a very, very time-intensive process, which is probably why my books seem to take me about four or five or more years each. So, yeah, working habits are intense and sporadic. I’ve read that you’re working on a screenplay for a film about polar bears; is that right? That’s right, yes. [As with] all screenplays, we’ll believe it when we see it. I’m under slight director’s embargo but I think I can say that it’s a film about oil and ice, and therefore about climate change, in which the phrase “climate change” will never be used. It’s set up on the North Slope [Alaska] and the Arctic Ocean north of Alaska. I’ve found it incredibly exciting to work with film-makers of all kinds recently, including a young film-maker called Adam Scovill who’s shooting an adaptation of Holloway only on Super-8. 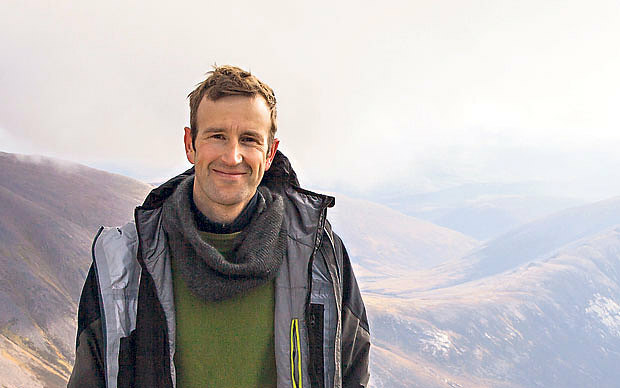 On the feature I’m working with Andrew Graham-Brown, who directed the [BBC] Natural World adaptation of The Wild Places. The Wild Places of Essex, it was called, an hour-long adaptation, which we spent a year on. It came out in 2009; we got a really decent budget for it. He’s up there now, filming again, in northern Alaska. You say in the new book you’re “north-minded”. Do you have a few favourite places in the north – beyond Scotland? Northern Canada, definitely. Vancouver, the Pacific Rim of Vancouver, and north of there. Then there are just places that I’ve never been and dream of going to, like everyone else. A lot of my writing is about people who can’t get to places – for illness, exile, imprisonment, incarceration, money, poverty – but for whom landscapes are living in the imagination, in absentia. I’m actually very ill-travelled for a so-called travel writer; but where would I want to go? Well, I’d dot my way north: Faroes, Iceland, Greenland – I almost went mountaineering in Greenland this summer – and then Baffin Island. That would be the dream boreal hopscotch. In a Q & A after The Old Ways was shortlisted for the Samuel Johnson Prize, you were asked to name your favourite non-fiction book. You narrowed the choice down to four, including Patrick Leigh Fermor’s A Time of Gifts. Would you class that as your favourite travel book? I think if I had to understand travel writing in its purer sense, and if I had to limit myself to one, it would probably be that first volume of his trilogy. Well, Jan Morris. Dalrymple. Byron. Chatwin – though I always say I’d never want to actually take a walk with him. I’m setting aside here the books about which I’ve written in Landmarks, as my admiration for those is very much on record. Tim Robinson, if we can call him a travel writer rather than a place writer. Jonathan Raban: that brain – an unbelievably powerful brain, so political, analytical. He’s up there, for sure. The list goes on and on, and back to people like Isabella Bird and Freya Stark and Gertrude Bell in forms of golden-age unorthodoxy, heterodoxy. Is there someone among the younger generation you think is particularly worth watching, or whose work has surprised you or shows promise? Well, I really did like both the books on shipping that came out recently: Rose George’s book [Deep Sea and Foreign Going] and Horatio Clare’s [Down to the Sea in Ships]. I thought they both, very differently, took a strange but vital form of travel and made extraordinary books out of it. It reminded me a bit of John McPhee. Have you read McPhee on this [Looking for a Ship]? You’ll have read him on many things. And Barry Lopez writes an essay called “Freight”, which is actually about flight freight. Yeah, they’re fantastic. Have you come across Peter Hessler? Not in person, although we were in Beijing at the same time. I was in Beijing for the first time in 2000, just after his first book, River Town came out. I was teaching out there as well, at a teachers’ university in Beijing. The New Yorker was all over the book and everyone was kind of passing it around. It’s a wonderful book. There’s just a calm clarity about it. And a humour, too. Yes, he’s a very unshowy writer, isn’t he? And I sort of thought, oh, there we are; there are the two traditions right there: the tendril and the shard, the crystal and the jungle. I think I’m a man of the jungle, stylistically, at least. 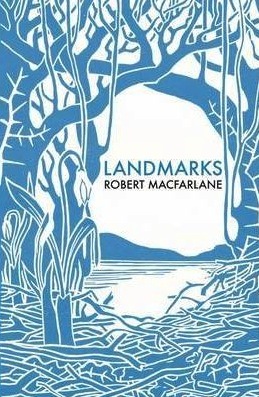 Landmarks is published by Hamish Hamilton at £20. A shorter version of this interview appeared first in Telegraph Travel.